The Ariege region of Southern France is the compact area where the Ariege River cuts through the Pyrenees on its way from Andorra to the coast.  There is a lot of high quality climbing in the area with a superb variety of rock types to go at; from the soaring granite slabs of the Dent d'Orlu, to the steep limestone bulges of Genat. Limestone, granite and gneiss are on offer and routes vary in size from boulder problems to long epics of over 20 pitches. The area has a long and intriguing history and offers plenty to do apart from the climbing, including mountain walking, caving, river rafting, skiing and checking out the many ancient castles. Factor in the year-round climbing, easy access from northern Europe and plenty of high quality accommodation in the area and it is easy to see that the Ariege region has lots to offer. 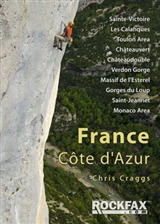 The areas covered in the guidebook are in and around the main Ariege river valley which runs down from Andorra through Tarascon-sur-Ariege and Foix. 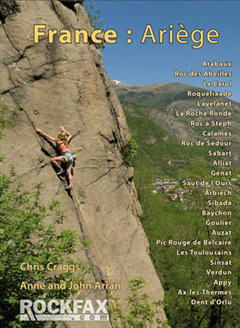 All the main sport climbing crags are covered including, Alliat, Auzat, Calames, Sinsat and ther Plantaurel, as well as many longer routes on the Dent d'Orlu and Sinsat. 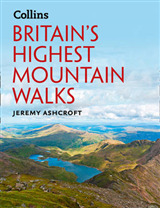 There are also sections on Mountain Walking, Road and Mountain Biking, Water sports and skiing. 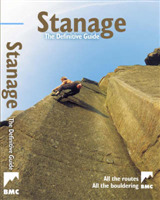 Despite its attractions, the area has remained off the radar to the climbing world in general, and the lack of a comprehensive modern guide to the area must be a large part of the reason for this. 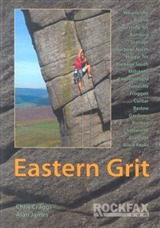 This publication will hopefully open up this great area as a new destination for travelling climbers.